New Education Careers Ambassadors roles are available within the Department of Education and Training in Queensland. This is a unique opportunity for four Queensland state school teachers to join the Attraction Team on secondment in 2018. 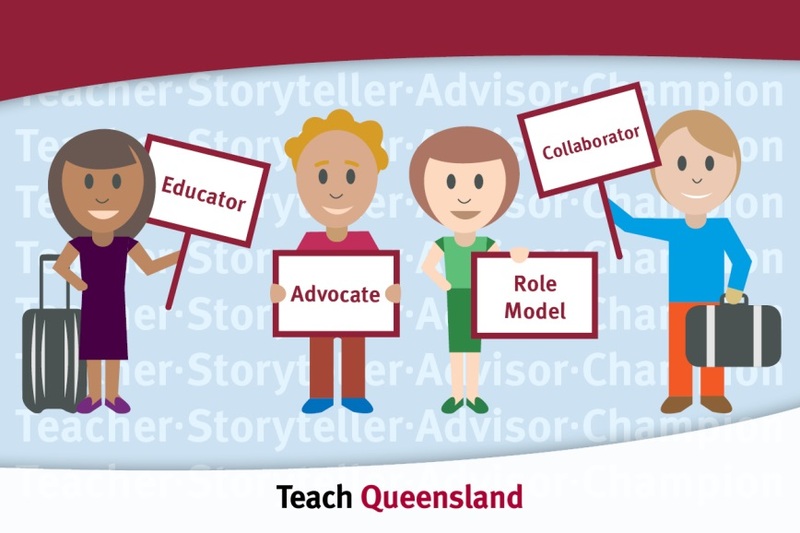 These new full-time roles will see Ambassadors sharing their enthusiasm and experiences as Queensland state school teachers to help promote teaching as a career choice and employment as a teacher in Queensland state schools. Education Queensland is looking for experienced teachers, who have taught in a number of school communities, including rural and remote locations. They will need to be great storytellers and public speakers, and passionate about teaching and state schools! The roles are advertised on Smart Jobs. The Ambassadors will be based with the Attraction Team in Brisbane but will spend a large part of their time visiting Higher Education Institutions across Queensland and interstate, including attending career and employment events with our regional recruitment teams which will require overnight travel. They will also have the opportunity to contribute to the broad range of initiatives led by the Attraction Team and help shape some new projects focused on working with schools to promote teaching as a career choice. Closing date is on Sunday 17 December.